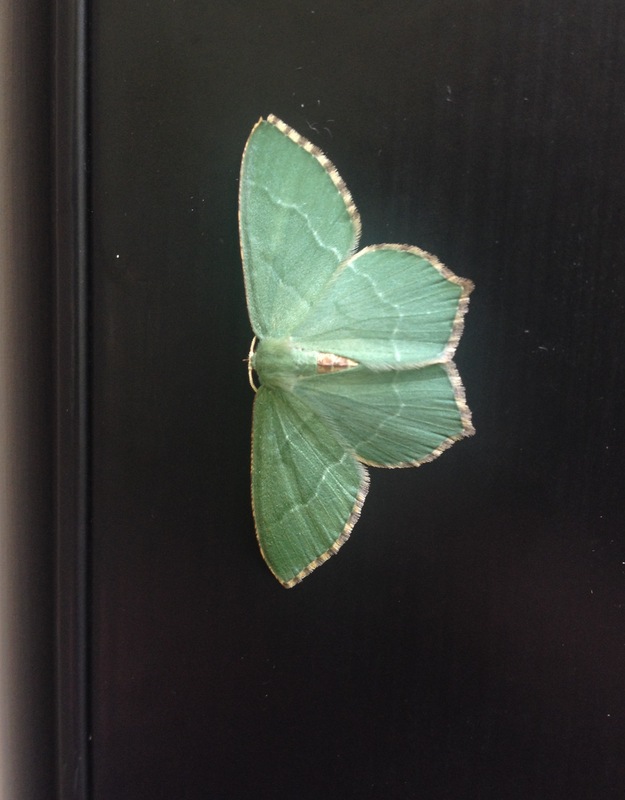 Observation notes: Beautiful pale green moth resting on my door frame. I live in the edge of a local park, surrounded by maples and fir trees. It was late morning.